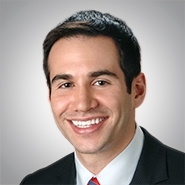 CHICAGO, ILL. - The national law firm of Quarles & Brady LLP announced that Adam T. Margolin has joined the firm's Chicago office as an attorney in the Energy and Environmental Practice Groups. Prior to joining the firm, Margolin served as Senior Corporation Counsel with the City of Chicago Department of Law. Prior to his work with the City, he served as Deputy Counsel to Illinois Speaker of the House Michael J. Madigan for five years. He earned his law degree from the University of Illinois College of Law and his bachelor's degree in political science from Washington University in St. Louis.